The Kiss of Peace is an expression of reconciliation and unity between the people present at a liturgical assembly. It originates with the widespread custom, in the ancient Western Mediterranean world, of people greeting each other with a kiss on the cheek. 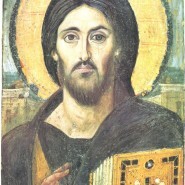 This was the custom in ancient Judea and was also practiced by Christians. It is clearly the custom referred to by Jesus when he defends the sinful woman at the house of Simon the Pharisee: “You gave me no kiss, but from the time I came in she has not stopped kissing my feet (Luke 7: 45). The Apostle Paul instructs the Churches on three separate occasions: “Greet one another with a holy kiss” (Romans 16: 16, 1 Corinthians 16: 20, 2 Corinthians 13: 12). Similarly, Saint Paul tells the Thessalonians, “Greet all the brothers and sisters with a holy kiss” (1 Thessalonians 5: 26). The chief apostle Peter likewise closes his first epistle with the instruction, “Greet one another with a kiss of love” (1 Peter 5: 14). The Kiss of Peace continued to be part of Christian worship, although its exact location in the service differed according to local custom. In the Roman Rite this exchange takes place at a later point in the Mass because of the understanding that it is a means of preparation for the reception of Holy Communion. In the Byzantine tradition the Kiss of Peace seems to have always been exchanged right before the Anaphora. Its position here is due to a very early interpretation that relates it to the preparation for bringing an offering to the altar, so that one may “first be reconciled to [one’s] brother or sister” in accordance with Mathew 5: 23-24. Scholars who study the historical development of the Divine Liturgy make some important observations regarding the Kiss of Peace. For example, early sources show clearly that it was originally exchanged not merely among the bishops and priests as today, but among the deacons and lay people as well. Also, the Kiss of Peace was likely only exchanged between neighboring worshippers, as opposed to everybody in the congregation exchanging with everybody else in the congregation – such a rule meaning that the rite could have been accomplished with a minimum of time and confusion. These same scholars tell us that by the time of Philotheos, Patriarch of Constantinople (latter half of the 14th century) the Kiss of Peace was no longer exchanged among the people in the congregation, but nobody seems to know why, although there is some suggestion that the exchange had become irreverent and disruptive. The practice seems to have died out in the West around the same time. It is interesting to note that, while today in the Byzantine Rite the Kiss of Peace is usually given on the shoulders, no less a luminary than Saint John Chrysostom (late 4th century) mentions that it was at one time exchanged on the lips. By the end of the 11th century it had become the practice during Great Lent to kiss only on the shoulders, not on the lips. That the Kiss of Peace was an element of the liturgy also in the lands of Rus’-Ukraine is evidenced by various Slavic manuscripts of rubrics, and some of these even as late as the 17th century include the rubric “і цілуються в уста” (“and they kiss on the lips”) (although by this time it was likely a directive only for the clergy). Even today this giving and receiving of the Kiss of Peace by everyone in the congregation (clergy and laity alike) remains in the rubrics of the ritual of forgiveness at the beginning of Great Lent during Forgiveness Vespers and at the exchange of the Paschal Kiss (also between clergy and laity alike) during Resurrection Matins. In the Latin Rite, the “offering of peace to one another” (note the terminology) was restored in 1969 following the directives of the Second Vatican Council. This initiative specified that the exchange was to be carried out according to the customs and mentality of the people, as determined by local bishops’ conferences. In accordance with the Byzantine tradition, the liturgical rite is referred to as The Kiss of Peace. In essence, the Kiss of Peace is not a mere salutation or greeting, but rather a public profession of love for one another and a sign of mutual forgiveness, which precedes the Symbol of Faith (The Nicene Creed). Mutual love for one another and unity in the true faith are essential prerequisites for the celebration of the Eucharist. 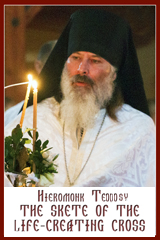 The Kiss of Peace shall be introduced in all parishes throughout the Eparchy of Edmonton as a regular Sunday and Feast Day practice beginning on Forgiveness Sunday, March 2, 2014. The introduction of the Kiss of Peace is to be preceded with appropriate catechesis through Sunday homilies, announcements and bulletins. The Eparchial Liturgical Commission, under the direction of the bishop, can serve as a resource for the parishes in the restoration and pastoral application of the Kiss of Peace. In the Divine Liturgy, after the Great Entrance and the Litany for the Gifts, the priest faces the people and blesses, saying: Peace be with all. The choir responds: And with your spirit. The priest remains standing at the Royal Doors, facing the people. The deacon, standing at his usual place before the iconostasis, turns to the faithful (if no deacon, then the priest, facing the people) continues: Let us love one another so that we may be of one mind in confessing. The choir responds: The Father, the Son, and the Holy Spirit, the Trinity, one in being and undivided. In the Gospel of Matthew, in the Sermon on the Mount, Jesus proclaims the following. He says: “When you are offering your gift at the altar, if you remember that your brother or sister has something against you, leave your gift there before the altar and go; first be reconciled to your brother or sister, and then come and offer your gift” (Matthew 5: 23-24). Our gift of bread and wine has been presented and placed upon the altar, but before we continue with that prayer of the Church which will transform them into the Body and Blood of Christ, our Lord is asking us to be reconciled with one another. Let us reverently exchange the Kiss of Peace as a sign of our willingness to forgive one another, to be forgiven if we have offended anyone, and to be at peace. There are two important requirements for celebrating the Eucharist in a worthy manner pleasing to God. The first requirement is that we love one another. At the Last Supper, Jesus gave us a new commandment. He said: “This is My commandment, that you love one another as I have loved you; abide in My love.” The second requirement is that we share the same Faith. With the Kiss of Peace, we profess that we take our Lord’s commandment seriously. We strive to love one another with the love of Christ. With the Symbol of Faith, which immediately follows, we profess that we share the same Faith in the one true God, and that we seek to worship the Trinity in spirit and truth. Peter once came up to Jesus and said to Him, “Lord, if my brother (or sister) sins against me, how often should I forgive? As many as seven times?” Jesus said to him, “Not seven times, but, I tell you, seventy times seven” (Matthew 18: 21-22). With the Kiss of Peace, we profess our willingness and desire to forgive, no matter how many times we have been offended or hurt by our brother or sister. What often prevents us from living an authentic Christian life and robs us of our Christian joy is the poison of unforgiveness, resentment and bitterness. Forgiveness is not a feeling, but a conscious choice that we make. Let the Kiss of Peace today be a sign of our willful decision to forgive those who have hurt us, to let go of the debt that they may have incurred against us, and to let go of any bitter feelings of resentment, so that the Lord may restore our souls to freedom, peace and joy! The priest should also explain and demonstrate to the faithful how the Kiss of Peace is exchanged. By a reverent bow toward our neighbor. The priest’s good instruction and his personal example will be of utmost importance in upholding the rite of the “Kiss of Peace” as a sacred liturgical act of love and reconciliation and not merely a casual or even frivolous expression of salutation. May the restoration of the Kiss of Peace truly be a public profession of love for one another and a sign of mutual forgiveness, a means of furthering our efforts at proclaiming the Good News of the Gospel message, and a gesture of hospitality in our parishes. Поцілунок Миру є виявом примирення та єдності між людьми присутніми на літургійній молитві. Походить цей звичай з античного світу Західного Середземномор’я, де люди вітали один одного поцілунком в щоку. Цей звичай був поширений як в давній Юдеї, так і серед ранніх християн. Пряму згадку цього звичаю можна зустріти коли Ісус захищає жінку-грішницю в домі Симона Фарисея: «Поцілунку не дав ти Мені, а вона, відколи ввійшов Я, Мої ноги цілує невпинно» (Лука 7:45). В Святому Письмі тричі згадано про те, як aпостол Павло заохочує Церкви до цієї практити: «Вітайте один одного святим поцілунком» (Римлян 16:16; 1 Коринтян 16:20; 2 Коринтян 13:12). У подібний спосіб cвятий Павло звертається і до Солунян: «Привітайте всю браттію святим поцілунком» (1 Солунян 5:26). Також верховний aпостол Петро завершує своє перше послання таким закликом: «Вітайте один одного поцілунком любови» (1 Петра 5:14). Два ранні джерела, які описують євхаристійні зібрання в ранній Церкві підтверджують, що Поцілунок Миру був невідємним елементом християнської літургії. Юстин Мученик (100-165 A.D.) чітко згадує aпостольські вказівки: «Завершивши милитви ми вітаємо один одного поцілунком». Іполит Римський (170-235 A.D.) подає конкретніший опис цього звичаю: «Піся молитов катехумени (оглашенні) не обмінюються поцілунком миру, бо їхній поцілонок ще не є чистим. Однак вірні повинні вітати один одного поцілунком, чоловіки чоловіків і жінки жінок. Чоловіки не повинні вітати поцілунком жінок». Поцілунок Миру продовжував бути частиною християнських богослужінь, хоча його місце у відправах відрізнялося згідно місцевих звичаїв. У латинському обряді обмін Поцілунком Миру відбувається в пізнішій частині літургії, тому що він є частиною дії, яка приготовляє до прийняття Святого Причастя. У візантійській літургії традиція Поцілунку Миру завжди була відразу перед Анафорою. Дуже ранні інтерпретації повязують цю практику з приготуванням до жертвоприношення на престoлі, щоб як пише aпостол Матей: «нехай кожен примириться з своїм братом чи сестрою» (Матей 5:23-24). Дослідники історичного розвитку Святої Літургії відзначають декілька важливих моментів стосовно Поцілунку Миру. Наприклад, ранні джерела чітко вказують, що в ранній християнській спільноті практика Поцілунку Миру мала місце не лише між священиками та єпископами, але також між дияконами та вірними. Також правдоподібно, що обмін Поцілунком Миру в храмі відбувався не між усіма присутніми, а лише між сусідами по молитві, щоб в такий спосіб уникнути значної метушні та великих часових затрат. Дослідники також зазначають, що в часи Філотея, Патріарха Констaнтинополя (друга половина 14-го століття) Поцілунок Миру більше не практикувався серед вірних в храмі і немає конкретного пояснення причин занепаду цієї практики; існують здогадки, що у вищезгаданий період ця практика вважалась зайвою та шкідливою. Саме в цей час практика Поцілунку Миру перестає також існувати і в західній Церкві. Варто зaзначити, що хоча зараз у візантійській традиції Поцілунок Миру звичайно практикується у плечі, святий Іван Золотоустий (друга половина 14го століття) згадує, що в певний час Поцілунок Миру був поцілунком в уста. З кінця 11-го століття Поцілунком Миру обмінювались під час Великого Посту і він був поцілунком у плечі. На теренах Київської Русі-України Поцілунок Миру також мав місце під час літургії і це підтверджують чимало слов’янських рукописів церковних рубрик. Наприклад, одна з таких рубрик з 17-го століття зазначає: «і цілуються в уста» (хоча мабуть на цей час тут мається на увазі Поцілунок Миру серед клиру). Навіть в теперішній час, Поцілунок Миру є вписаний в рубрики богослужінь і він стосується як духовенства, так і мирян. Обмін Поцілунком Миру відбувається під час Вечірні Всепрощення, якою починається Великий Піст, а також під час Пасхальної Утрені, де такий поцілунок також називається Пасхальним Поцілунком. В латинському обряді «офірування миру один одному» (звернути увагу на термінологію) було відновлене в 1969 році відповідно з директивoю Другого Ватиканського Собору. Ця ініціатива втілювалася місцевими єпископськими конференціями з враховуванням місцевих традицій та менталітету вірних. Згідно із візантійською традицією, даний літургійний обряд означений як Поцілунок Миру. Поцілунок Миру не є звичайним привітанням, а радше є публічним виявом любові один до одного та знаком взаємного вибачення, який здійснюється перед Символом Віри (Нікейським Символом Віри). Взаємна любов один до одного і єдність у правдивій вірі є необхідними передумовами для євхаристійної трапези. Поцілунок Миру повинен бути запровадженим в усіх парафіях Едмонтонської єпархії і він практикуватиметься протягом усіх неділь та свят починаючи з неділі Всепрощення – 2 березня, 2014 року. Заповадження практики Поцілунку Миру відбуватиметься одночасно з катехизацією під час недільних проповідeй, оголошень; включно з оголошенням у недільних бюлетенях. Єпархіяльна Літургійна Комісія під проводом єпископа надаватиме парафіям необхідну підтримку для відновлення та втілення практики Поцілунку Миру. В часі Божественної Літургії після Великого Входу та Єктенії Дарів, священик, стоячи лицем до людей, благословляє їх, кажучи: «Мир всім». Хор відповідає: «і Духові Твоєму». Священик залишається стояти в Царських Дверях лицем до людей. Диякон, стоячи на своєму звичайному місці перед іконостасом, повертається до вірних (якщо немає диякона, тоді священик стоячи лицем до людей) продовжує: «Возлюбім один одного, щоб однодумно визнавати.» Хор відповідає: «Отця і Сина і Святого Духа, Тройцю єдиносущну і нероздільну». В Євангелії від Матея згадується як Ісус під час Нагірної проповіді проголосив такі слова: «коли принесеш ти до жертовника свій дар, та пригадаєш собі, що брат твій щось має на тебе, залиши тут дар свій перед жертовником, і піди, примирись перше з братом своїм, і тоді повертайся, і принось свій дар» (Матей 5: 23-24). Наш дар – хліб і вино, є принесений і покладений на престіл, однак, перед тим як ми продовжимо нашу молитву Церкви, яка перемінить їх в Тіло і Кров Христову, наш Господь просить нас примиритися один з одним. Отож, поділімось один з одним Поцілунком Миру. Нахай це буде знаком бажання простити один одному, бажанням бути прощеному, якщо ми образили когось, бути примиреному. Для того, щоб гідно прийняти Святу Євхаристію є необхідно виконати дві важливі передумови: Перша передумова це є любити один одного. Під час Останньої Вечері Ісус дав нам нову заповідь кажучи: «це є моя заповідь, щоб ви любили одне одного, як я полюбив вас; дотримуйтесь її в моїй любові». Другою вимогою є те, щоб ми були єдині у Вірі. Поцілунком Миру ми засвідчуємо, що трактуємо Господню заповідь серйозно. Ми намагаємось любити одне одного любов’ю Христа. Проголошуючи разом Символ Віри, ми засвідчуємо те, що поділяємо одну Віру в одного правдивого Бога і що ми почитаємо Трійцю в дусі і правді. Oдного разу Петро підійшов до Ісуса і спитав таке: «Господи, якщо мій брат (чи сестра) згрішив супроти мене, то скільки разів маю простити? Чи аж сім разів? Ісус відповів йому: «не сім, сімдесять раз по сім» (Матей 18: 21-22). Поцілунком Миру ми засвідчуємо наше бажання пробачити незалежно від того скільки разів наш брат чи сестра нас образили. Отрута непрощення, гіркоти та образи є часто тим, що не дає нам жити правдивим християнським життям і позбавляє нас правдивої християнської радості. Прощення не є відчуттям, а є радше свідомим вибором, який ми робимо. Нехай Поцілунок Миру буде сьогодні знаком нашого добровільного рішення простити тим, хто нас образив, і відпустити борг, який може хтось має перед нами, відпустити гіркі відчуття образи, щоб Господь відновив наші душі до свободи, миру і радості! Священик повинен також пояснити і показати вірним, як саме слід обмінюватися Поцілунком Миру. Цілуючи спочатку праве плече, або щоку особи, а тоді ліве плече, або ліву щоку. Подаючи і потискаючи руку одне одному. Вклоняючись гідно перед нашим сусідом. Чіткі вказівки священика і його особистий приклад є надзвичайно важливими для здійснення Поцілунку Миру саме як сакрального літургійного жесту любові та примирення, а не просто акту звичайного, чи навіть легковажного привітання. Нехай віднова практики Поцілунку Миру дійсно стане публічним виявом любові одне до одного, знаком взаємного прощення, способом, який допомагає нам проповідувати Євангелію і буде жестом привітності на наших парафіях.